This Thanksgiving, let Irwin's make and bake the holiday pie for your table! 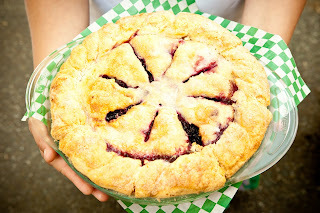 We will be baking up Marvelous Marionberry, Tart Apple, Delicious Pecan and Perfect Pumpkin! Pre-order your pie(s) of choice from any of our 3 Irwin's locations. Pies will be ready for pick up on Wednesday, November 23rd before noon.